9 oz. 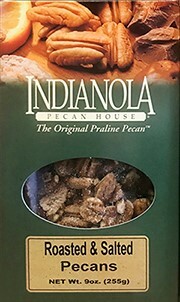 Box Roasted & Salted Pecans - the perfect salty contradiction to our famous praline pecans! Our roasted & salted pecans are a classic favorite! Try them with some of our other gourmet pecans!